My best-performing C. pennsylvanicus colony means business this month. I spotted the largest larvae I've ever seen tonight, captive or wild. Is it going to be my first major worker? I apologize ahead of time for image quality. I keep my colonies in poor man's habitats consisting of those pet store critter cages and wood, but the ants love it. PS: I'm very curious what experience others have with carpenter larvae. What's the largest you've documented in your colonies? Edited by CampoKing, February 8 2019 - 12:03 AM. YES! that's your first major! Congrats! The majors are AWESOME! 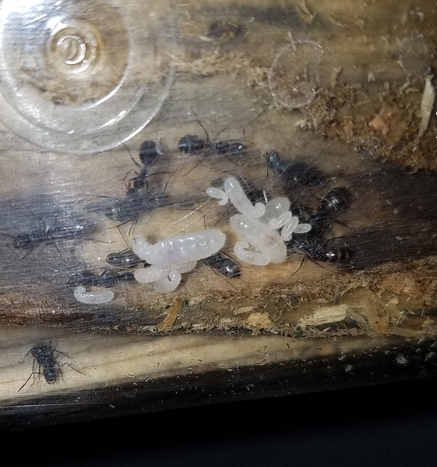 Camponotus are my favorite species to raise. Watch the majors actions, they always tend to guard the queen, atleast in the beginning. They rarely forage and act as guards at the entrance of the queens test tube. It is awesome seeing the different roles. Have fun! 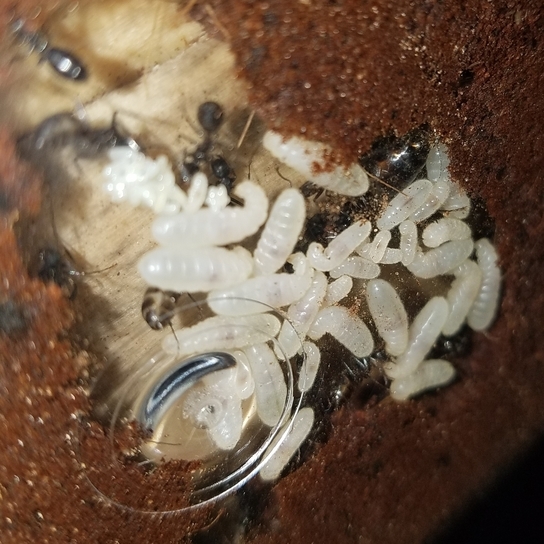 Few days ago, I noticed my C. chromaiodes colony has over 50 larvae like that. 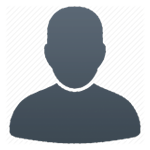 They have over 200 workers now. The rest of the brood is either minor cocoons, or small larvae that are developing, or eggs. Over 300 brood total. Good luck! That major is going to be a really amazing addition! That sounds like a third year colony, am I right? Because I'm expecting as much as 250 adults at the end of this (second) year from that colony pictured in my post. Yeah, third year. I caught them at the end of their second year. 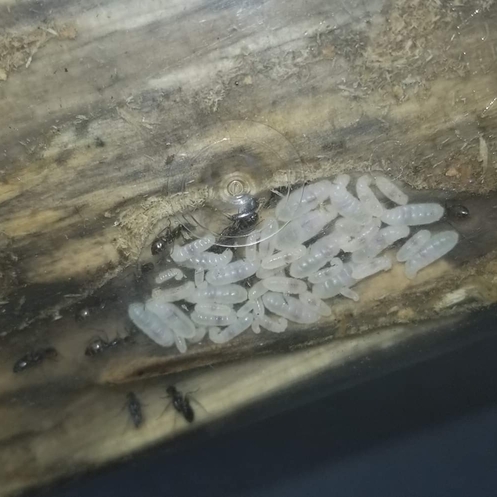 Might get alates this year, the larvae are so big! YESSSS! Dude! So many majors! !